Sammo Hung stars in this supernatural crime comedy directed by Ricky Lau Koon-wai and Phillip Chan Yan-kin. 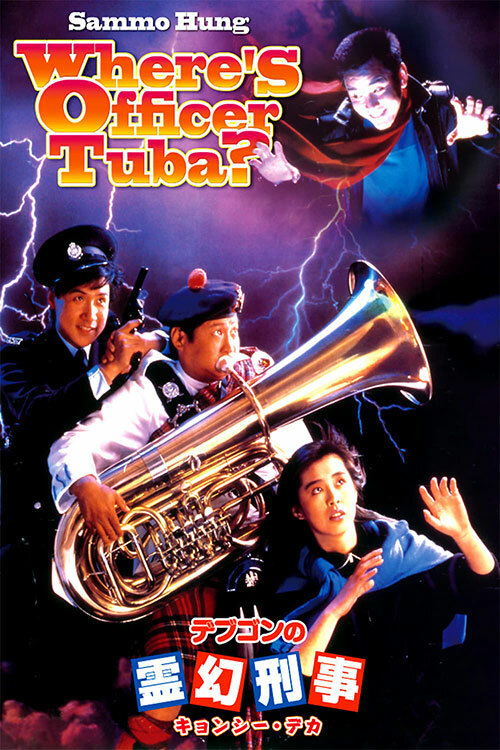 Tuba (Hung) is a fainthearted cop who prefers to play in the brass section of the police band to pounding the streets. One day, he finds himself caught up in an extortion case with trigger-happy detective Rambo Chow (David Chiang Da-wei). When Rambo gets fatally wounded, he makes a half-hearted vow to avenge his death. Tuba is more than a little surprised when Rambo's spirit returns to make sure the timid cop makes good on his promise. Backed up by his hotshot partner Cheung (Jacky Cheung Hok-yau), Tuba eventually summons the gumption to track down the baddies. 2 Response to "Where's Officer Tuba? (1986) Philip Chan & Ricky Lau"
Staying on the Sammo train - could you find Slickers vs. Killers (1991)?